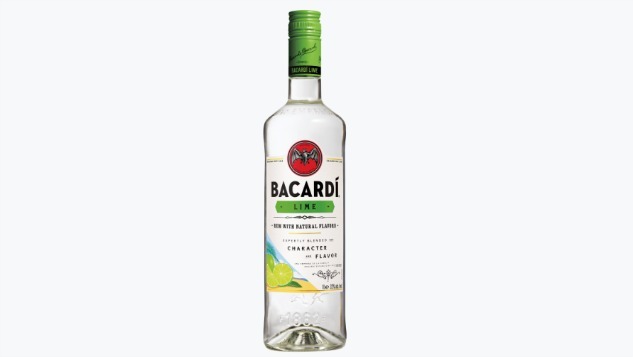 Just in time for summer, Bacardi is launching a new lime flavor. Like Bacardi’s other flavored rums, it begins with a base of Bacardi Superior white rum that is then infused with natural lime flavors and lime zest. Bacardi sent us a bottle to try prior to the launch, and we found it to be a delightful spin on the original. As someone who tends to drink their rum most often in ginger beer, the lime was a nice addition and made it so I didn’t feel like I needed to grab an actual lime to finish my drink. It’s also affordable. A 750ml bottle of Bacardi Lime has a suggested retail price of $12.99. Bacardi says an ounce of Bacardi Lime mixed with soda also only clocks in a 74 calories, so you can have a few of them guilt free. Directions: Add all ingredients into a punch bowl or carafe with ice and stir. Garnish with lime wheels. Directions: Add the lime wedges, sugar and mint leaves and gently muddle until the limes release juice. Add BACARDÍ Lime Flavored Rum and mix the ingredients with a bar spoon. Fill with crushed ice and stir once again. Add club soda and garnish with mint. Directions: Combine all ingredients in a blender with 2 cups of ice. Blend until smooth. Serve into a rocks glass. Garnish with lime wheel. Directions: Pour ingredients over ice. Garnish with a lime wheel.